Let's dive deeper, shall we? In last week’s Throwback Sunday’s article, we suggested six alternatives to the Rolex Submariner. The article, naturally, was a little controversial. That brought up several valid points of views which we thought were rather valid. Hence, this week, we are taking some pointers from last week’s article. This time, are going to look at the Submariner’s sibling – the Rolex Deepsea Seadweller (or DSSD for short) – and offer six different alternatives for our watch recommendations. The Rolex DSSD is one of the more interesting offerings from Rolex in recent years. Launched in Baselworld 2008, the DSSD was certainly a bit of an oddball in the line-up. The watch, for a start, is much chunkier and thicker than the likes of Submariner and Seadweller. It has a few interesting design cues too, such as the large gas escape valve ring lock, as well as the contrastingly minuscule date window. However, despite it being considered as an “acquired taste”, the DSSD is no doubt a popular timepiece amongst collectors and buyers alike. There are several reasons behind why a buyer might choose a DSSD over any other timepieces. 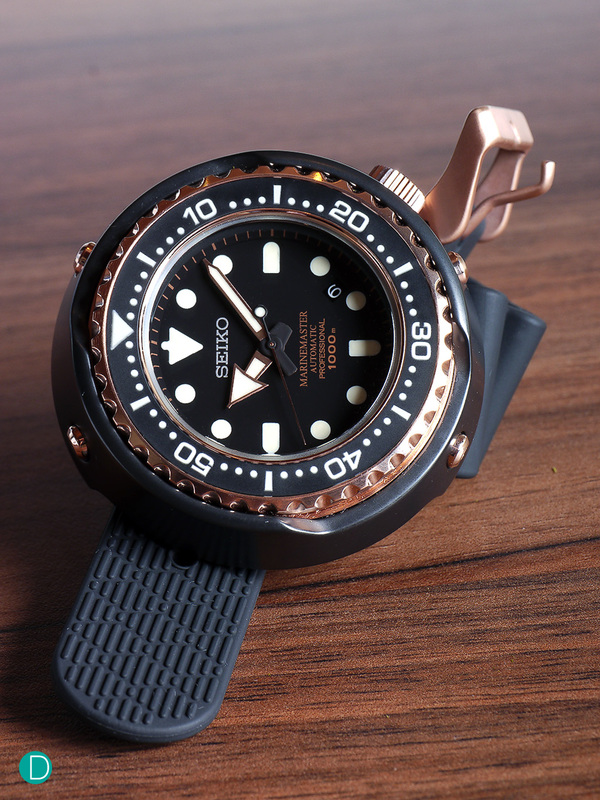 First, the watch certainly looks different from the usual diver’s watch (at least in terms of its size and case design) – and that means that collectors or buyers who are looking for something unusual will certainly consider this in their selection. Next, it is a big watch, and that is something that is rather in trend over the last few years. Finally, the DSSD has an incredible depth rating of 3,900m (or 12,800ft), although it is highly unlikely that anyone is going to bring the watch down to such depth. Based on what we have mentioned in the previous paragraph, we feel that we can come up with various alternatives to the DSSD. 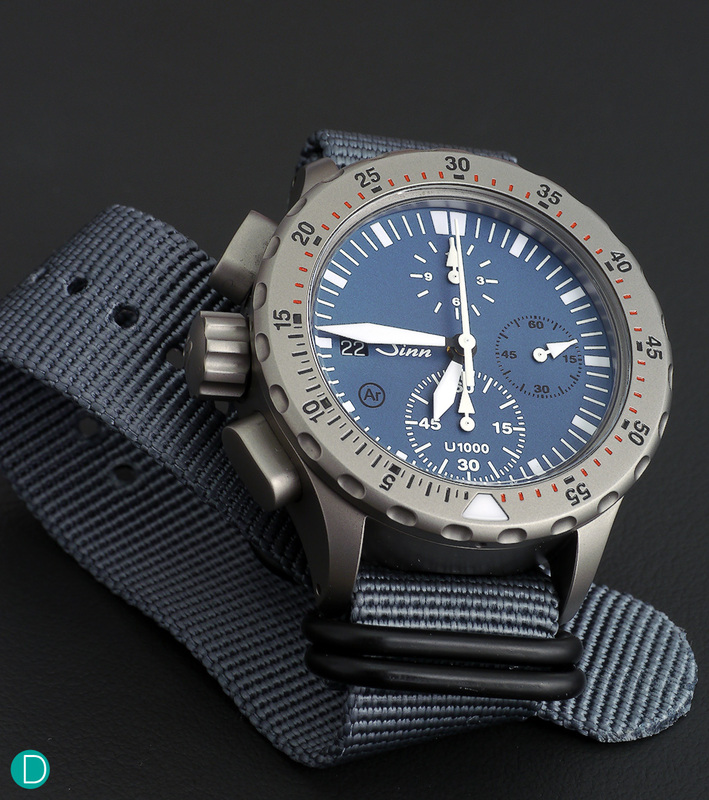 This is for collectors who wants some of the features or characteristics of the Deepsea Seadweller, and yet they want to consider different options before making the purchase. What are our six watch recommendations? Let’s find out! The Sinn U1000-B, or otherwise known as the EZM6. We begin this week’s article with a contender from Germany: the Sinn U1000-B, or otherwise known as the EZM6. In last week’s article, we have featured the Sinn U1 as a competitively priced alternative to the Rolex Submariner. While we feel that the same watch would have easily find itself a spot in today’s list, we think that it would be more interesting if we highlight another underrated but solid timepiece from the Frankfurt-based watch manufacturer. 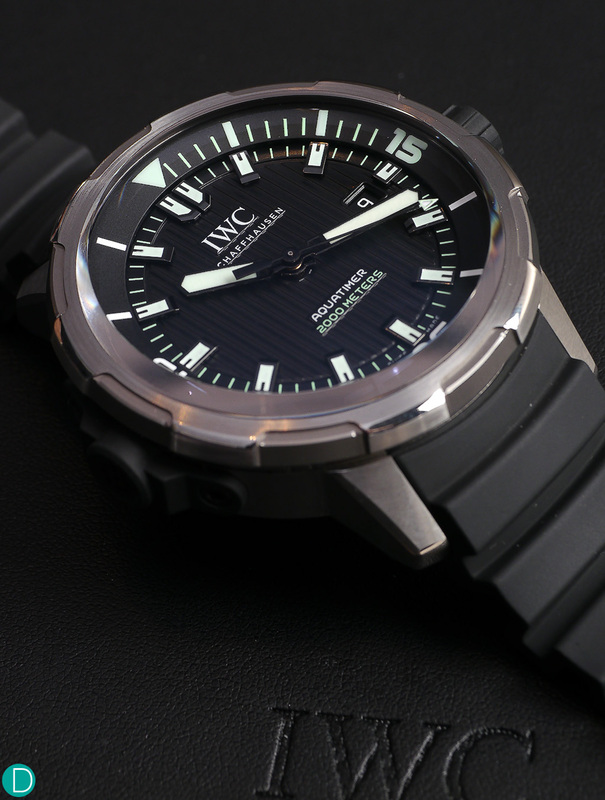 The U1000-B utilises the same submarine steel as the U1 in its case construction. Together with the TEGIMENT technology, the watch is said to be six times harder than conventional stainless steel. In addition to the usual features of the U1, the U1000 has an additional chronograph function. The case is also filled with Argon gas – which is said to have dehumidifying capabilities. Priced at US$4,970 (approximately S$6,544) for the special pastel blue dial edition, the U1000 is certainly very well-priced if we look solely at the build quality and functions alone. It is definitely an excellent alternative to the DSSD, if one is looking for a rugged and functional timepiece that can be relied upon when it is required to do so. The Seiko Marinemaster Professional 1000m Diver’s. This variant, with some gold bits, is a limited edition timepiece to commemorate the watchmaker’s 50th Anniversary in making diver’s watches. It was a tough decision between the Grand Seiko Hi-Beat Diver (Reference SBGH257) and the Marinemaster Professional 1000m (Reference SBDX014). We eventually went for the latter, because we think that the ceramic shroud – which lends the watch its nickname “Tuna Can” – gives the 48.2mm timepiece a rather robust appearance. On top of that, the mono-bloc case watch is fitted with the in-house Calibre 8L35. It is, as mentioned in some of our articles, the undecorated version of Grand Seiko’s Calibre 9S55. The watch boasts a decent power reserve of around 50 hours, and the entire timepiece is constructed and assembled by Seiko’s leading artisans in the Shizuku-ishi Watch Studio. This particular “Emperor Tuna”, with a depth rating of 1,000m, is priced at S$3,670. It is a gorgeous piece, with a contrasting colour scheme that works brilliantly. If the usual Seiko diver’s watches are too run-off-the-mill, then perhaps the SBDX014 might just be the watch that you have been looking for. Omega Seamaster Ploprof 1200 is an interesting presence. Despite the large size and unique design, the diver has a warm presence due to a charming shade of blue found on the ceramic bezel insert and dial decoration. The Orange bezel locking button has like or hate look – it cannot be simply ignored. The Omega Seamaster Ploprof 1200, similar to the DSSD, is a timepiece which you either love it or loathe it. What makes the Ploprof interesting is its chunky and intriguingly-shaped case – which is also something that conversely turned many collectors away. Aesthetics-aside, the Ploprof is certainly a very functional timepiece. One of the most impressive features of the Ploprof is in its depth rating, in which it is capable of withstanding pressure of up to 1,200m in water depth (although it still falls short of the DSSD’s depth rating of around 3,900m). In terms of its movement, the Ploprof is powered by the in-house Calibre 8912. The self-winding Master Chronometer is fitted with Omega’s iconic Co-axial escapement, and it is capable of withstanding magnetic fields of up to 15,000 Gauss. In addition, it also boasts a respectable power reserve of around 60 hours. The Ploprof 1200 is priced at S$16,300, which makes it S$80 pricier than the DSSD. However, if one is looking for something that is more uncommon and conversational, the Omega is certainly a compelling and interesting proposition. We reckon the watch, together with the mesh bracelet, is a lethal combination that will surely blow many of the contenders out of the water. When it comes to IWC watches, the Pilot and Portugieser collection are probably what the Schaffhausen-based watch manufacturer is known for. However, for the ardent IWC collectors, the Aquatimer is also another collection that contains some formidable offerings. 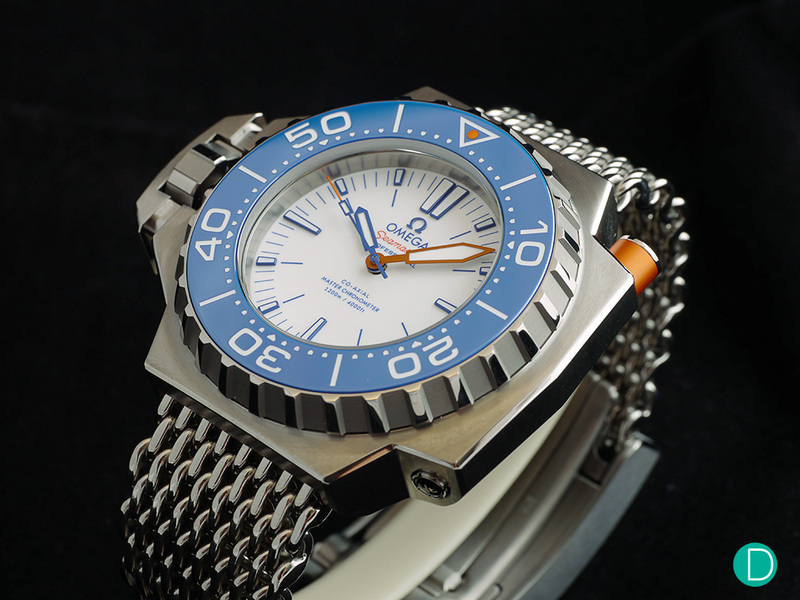 With an update in 2014, the Aquatimer collection had undertook a new refreshing look. One of the highlights of the collection is the Automatic 2000, which features its new IWC DiveSafe (Internal/External Bezel System). It is also much better looking as compared to its predecessors, especially since the new timepiece is much more rugged and substantial as compared to its predecessor. Powered by the Calibre 80110, the self-winding movement boasts a date indicator and a decent power reserve of around 44 hours. The 46mm timepiece is priced at S$13,900, and the watch is only available with the rubber strap option. This is certainly a masculine and handsome piece, and it is perfect for someone who wants to own a massive, yet clean looking tool watch. An interesting option from the Luminor Submersible family – the 1950 Carbotech, which comes with a special and unique case pattern. It would be difficult to imagine that a list – consisting of large and chunk diver’s watches – will exclude the Panerai Submersible. After all, Panerai is one of the few early pioneers in making large watches fashionable, and we reckon its exclusion from today’s list will certainly get some of our readers up in arms. 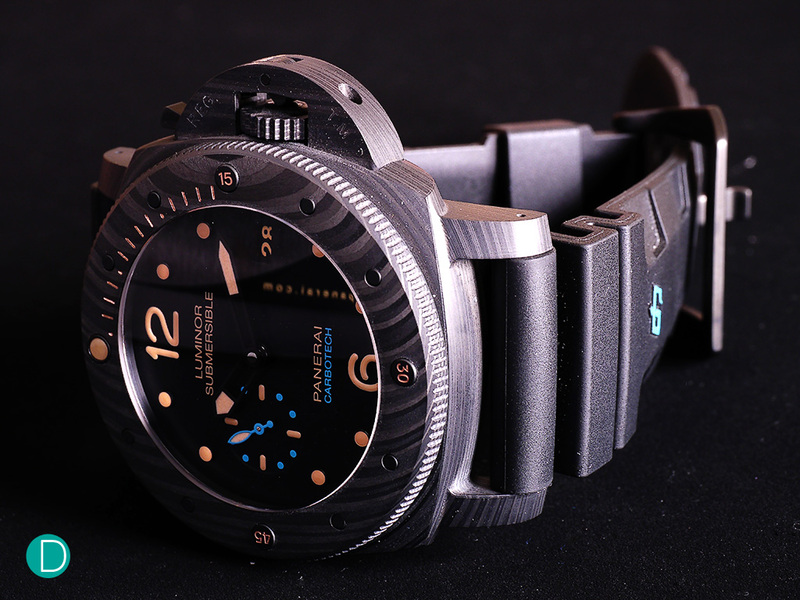 The Luminor Submersible is Panerai’s answer to diver’s watches, and the collection had certainly made a strong name for itself over the last decade or so. One of the most notable pieces that was born from the collection was the Bronzo – the trailblazing timepiece that had made Bronze a popular material amongst manufacturers and collectors alike. Notably, the pursuit of using interesting case materials did not end there. More recently, in 2015, Panerai launched the 1950 Carbotech. This case comprises of thin sheets of carbon fibre, compressed under high pressure with the Polyether Ether Ketone (PEEK) polymer. The end result is a special case, with a carbon fibre pattern that is unique to the watch itself. The watch is fitted with in-house Calibre P.9000. The self-winding movement has a date indicator, as well as a power reserve of around 3 days. While the 47mm timepiece is definitely far off in terms of its depth rating (at 300m) as compared to the DSSD, but its bold looks and massive wrist presence makes up for it. The watch is priced at €17,500 (approximately S$28,360), and we are certain that there aren’t many diver’s watches out there that are capable of making a statement that is as strong as this Panerai. 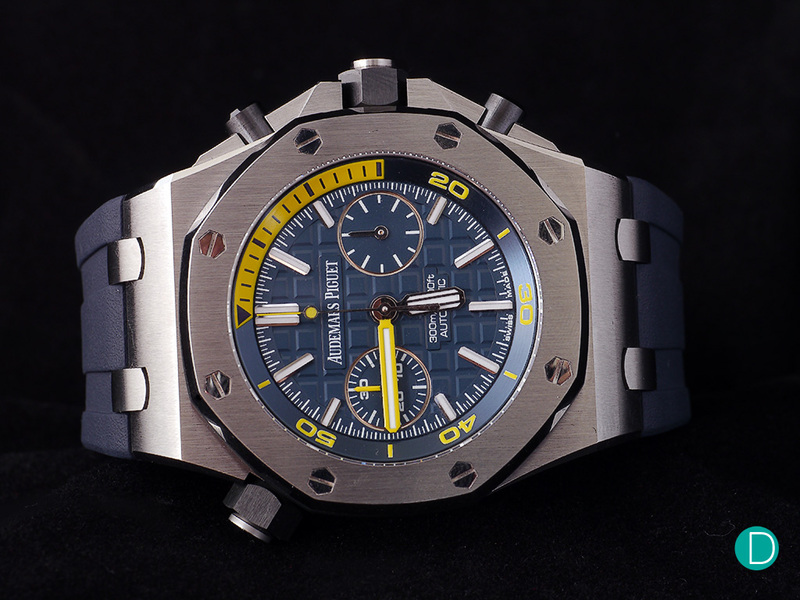 Finally, we round up the article with the Audemars Piguet Royal Oak Offshore Diver Chronograph. In recent years, there has been a growing interest in the Royal Oak Offshore (ROO) collection, especially with new collectors. It can certainly be attributed to its iconic case design, which go down well with many younger watch enthusiasts. And in 2016, Audemars Piguet further expanded its collection with the new Diver Chronograph, in four different colours. The new model is definitely an interesting addition, especially since the previous ROO Diver is a bit plain for some. The 42mm ROO Diver Chronograph is powered by the in-house Caliber 3124/3841, based on the Caliber 3120. It has a bidirectional gold rotor, with a power reserve of around 50 hours. The finishing is rather nice, especially with the beautifully engraved 22 carat gold rotor which has the coats of arms for the Audemars and Piguet families. The bridges are decorated with Côtes de Genève, with anglage applied on the edges too. At the price of S$31,900, the ROO Diver Chronograph is definitely much pricier than the DSSD. But if one is looking for a casual, yet conversational timepiece, then perhaps this diver’s watch might be an excellent timepiece to have in the collection. The Rolex Deepsea Seadweller (Retail Price: S$16,240) is an iconic watch. No doubts about that. Its enormous case and gigantic wrist presence had earned the watch a strong cult following amongst watch collectors, especially if they are looking for something massive and conversational. The second iteration in the collection – the Deepsea D-blue (Retail Price: S$16,660) – is rather intriguing as well, especially with its two-colour gradient dial. That is probably the model that one should go for, if one is looking for something that is even more unusual. The diver’s watches that we have selected today are great alternatives to the DSSD – either in terms of its capabilities (although none of them are able to match up to its staggering depth rating of 3,900m), size/wrist presence , or simply because of its “cool factor”. Frankly, the DSSD had set a rather high benchmark, which makes it a watch that is tough to compete with. Most of the watches here have to make up for the differences or shortcoming in one way or another. The Sinn U1000, for instance, had to compensate for its lack of depth rating and brand recognition with a chronograph function and a fairly attractive price point. The 1950 Carbotech, on the other hand, had to justify its premium with the use of a highly sophisticated carbon composite case. What are your thoughts on our selection? Are there some other pieces that should have been on the list? We highly suspect that some omissions – such as the Hublot Oceanographic 4000 – might have brought about some point of contention, so we would love to hear your views on why some of these pieces should be included in the list. Let us know in the comments section below!